Collets can be chamfered or stepped to provide part and/or tool clearance. 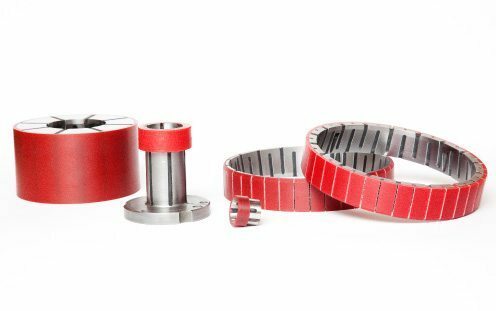 Collet OD or grip area can be tapered up to 7 degrees to match part and hold effectively. Tooth configuration can be ground on the OD or in the ID for gripping the pitch diameter of the part. Various coatings can be applied to grip area or entire part for enhanced grip, wear, corrosion resistance, and non-markings of finished grip area.